General Motors Ventures LLC invested $7 million in Envia Systems to provide GM’s battery engineering team with access to advanced lithium-ion cathode technology that delivers higher cell energy density and lower cost. In a separate agreement, GM has secured the right to use Envia’s advanced cathode material for future GM electrically driven vehicles. 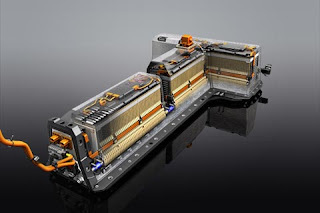 "Skeptics have suggested it would probably be many years before lithium-ion batteries with significantly lower cost and higher capability are available, potentially limiting sales of electric vehicles for the foreseeable future," said Jon Lauckner, President of GM Ventures. "In fact, our announcement today demonstrates that major improvements are already on the horizon." "With our high-capacity manganese rich cathode material, Envia is addressing two key issues in the next-generation battery cells – higher capability and lower cost," said Atul Kapadia, founding investor, chairman and CEO of Envia Systems. "The investments announced today from GM and the two new strategic investors, demonstrate the excitement around our technology, as well as the importance of the challenge. "We believe our battery materials have taken the technology lead that will help lower price points and unlock the market potential for our customers," Kapadia said. "With our technology and products, we believe that Envia is best-positioned to win a significant portion of this very large battery materials market." Envia’s advanced cathode technology uses inexpensive materials that store more energy per unit of mass than current cathode materials. Since the cathode is a key driver for the overall battery cost, the more energy the cathode delivers, the lower the battery cost because fewer cells are needed. "Our test results on small-format cells show that Envia’s high-capacity composite cathode material can increase the energy density of lithium-ion cells by up to one-third, at an equivalent level of reliability, safety and durability," said Micky Bly, GM Executive Director for Electrical and Battery Systems. 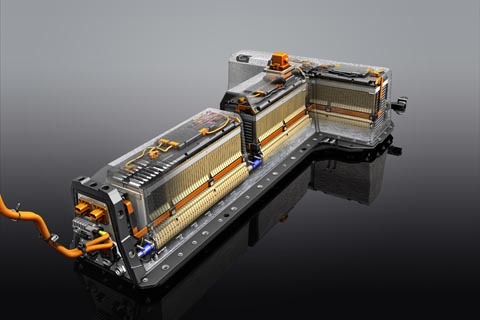 "We estimate this improvement in cell energy density and less expensive material will drive a substantial reduction in cell cost, leading to lower cost battery packs like the one in the Chevy Volt." Envia’s cathode technology also will offer benefits for other devices and applications where low-cost, high-energy density storage solutions are needed."